Harrison Ford, Carrie Fisher, Mark Hamill, Anthony Daniels, Peter Mayhew, Kenny Baker, John Boyega, Daisy Ridley, Adam Driver, Oscar Isaac, Andy Serkis, Domhnall Gleeson, and Max von Sydow. At long last, that’s the cast of J.J. Abrams’ Star Wars: Episode VII, officially announced today on StarWars.com, along with the above picture of the cast gathered together with director Abrams. The returning cast from the original trilogy is no surprise — the involvement of Ford, Fisher, and Hamill, especially, has been all but a given from the early days soon after the announcement of Disney’s purchase of Lucasfilm. Yesterday rumors put that core trio all in London at the same time, and sure enough, the scuttlebutt about a planned script readthrough and cast announcement proved to be true. Does that mean the accompanying rumors that Harrison Ford will have a huge part in Episode VII are true as well? Well, let’s just say we wouldn’t be at all surprised. It’s also great to see Daniels, Mayhew, and Baker back as well. Since they’re all immersed in costumes or props, they would have been theoretically easier to replace than the core trio, but it’s awesome that they’ll be returning to these iconic roles — just knowing they’ll be the ones bringing the droids and the Wookiee to life makes this all feel like proper Star Wars, even with all the new faces. So let’s talk about the new guys. Many of them had indeed been rumored for Episode VII in recent months, but let’s face it: damn near everybody in Hollywood was rumored for a Star Wars role at some point over the past year and a half. 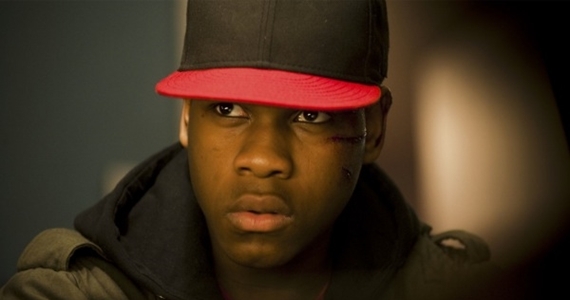 John Boyega first caught our attention in Joe Cornish’s Attack the Block, and he was listed among five supposed contenders for one of Episode VII’s new lead roles as of early last month. (He was also rumored to be a contender to play Miles Dyson’s son in Terminator: Genesis, before Hunger Games actor Oladayo A. Okeniyi won the part.) At this point we still don’t know what role Boyega is filling, but rumors suggested the role would be a Jedi apprentice of some sort. Could that Jedi apprentice also be an offspring of Luke, Han, or Leia? We’ll have to wait and see. 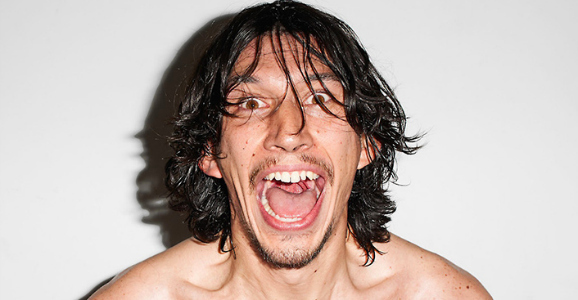 Adam Driver is best known for his role in HBO’s Girls, and his name has been mentioned in connection with Episode VII since early this year. In February Variety reported that he was up for the role of one of the film’s villains, a character “in the vein of iconic Star Wars villain Darth Vader.” That most likely means a Sith of some sort, but you never know. 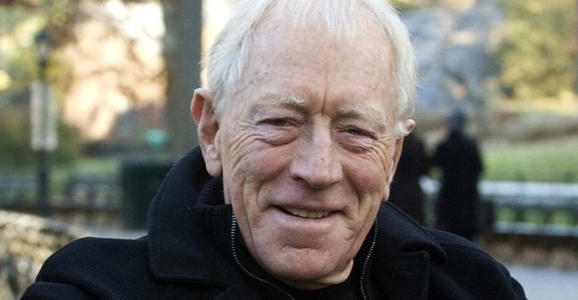 And if Luke, Han, Leia and the rest are going to be up against resurgent Sith in Episode VII, perhaps Max von Sydow could be the master/mentor of Driver’s theoretically villainous character. That’s pure speculation on my part, but von Sydow certainly has the gravitas to pull off an intimidating bad guy. On the other hand, he’s massively talented, so he could be playing just about anything/anybody, up to and including Yoda, just by hunching over and painting himself green. He’s played countless roles over the years, appearing in films such as Minority Report, The Exorcist, and Dune. 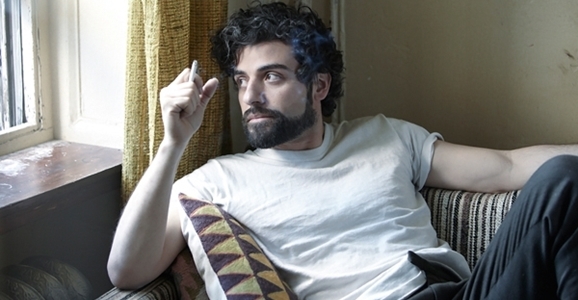 Oscar Isaac was mentioned yesterday along with the Harrison Ford rumors, reported by Deadline to be “in line for a major role.” He earned tons of critical praise in the title role of the Coen Brothers’ Inside Llewyn Davis (alongside Adam Driver, coincidentally enough). He was also pretty great in the high school reunion flick 10 Years in 2011. 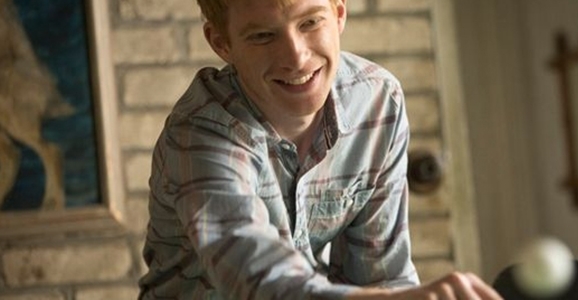 Domhnall Gleeson appeared in the last two Harry Potter films as Bill Weasley, the eldest brother of Ron and Ginny. The 30-year-old British actor has also appeared in the time travel romcom About Time with Rachel McAdams, in the 2012 version of Anna Karenina, and even had a small role in Dredd. 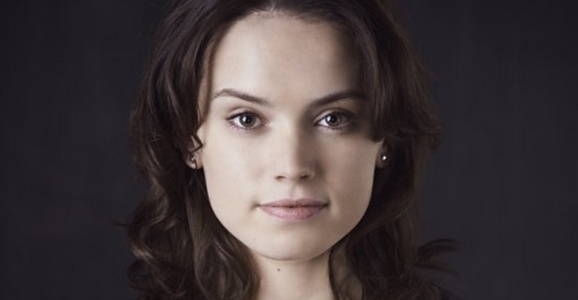 Daisy Ridley has pretty much only done British television, appearing in shows such as Mr. Selfridge and Silent Witness. Her earliest IMDb credit is only from last year, so she’s an unknown who could blow up huge thanks to the Episode VII role. Get ready for one hell of a ride, Ms. Ridley. Again, we don’t know what roles Isaac, Gleeson, and Ridley are up for, but assuming the new trilogy does indeed include the Skywalker and Solo offspring in major roles, any or all three of them would make sense for those parts, age wise. 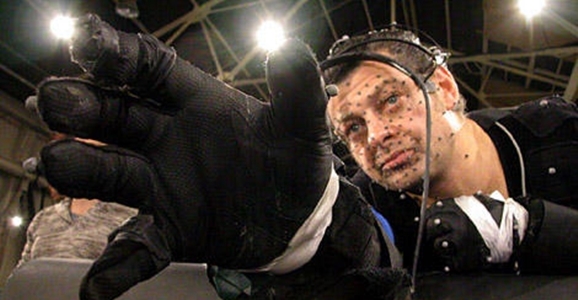 Finally, there’s one of the announcement’s most unexpected and exciting surprises: motion-capture master Andy Serkis. After becoming a household name with his amazing performance as Gollum in Peter Jackson’s Lord of the Rings films, he’s put the art of motion-capture performance in the spotlight in a huge way, bringing to life both King Kong and the rebooted Planet of the Apes’ simian star, Caesar — dude’s got a thing for apes, apparently. Given his skillset, he’s almost certainly going to be providing motion capture for a CGI character. But who or what? We’ve got no clue, but we can’t wait to find out. So there you have it, folks, the core cast who will be bringing George Lucas’ galaxy far, far away back to life in 2015. What do you think of this lineup? 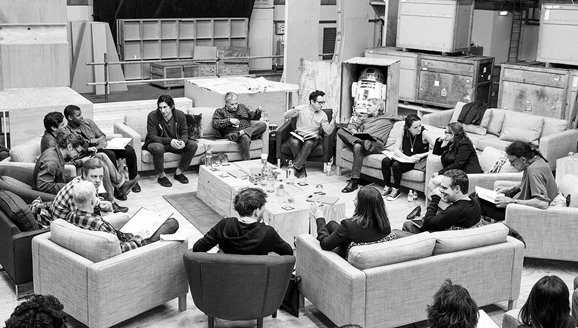 April 29th, Pinewood Studios, UK – Writer/Director/Producer J.J Abrams (top center right) at the cast read-through of Star Wars Episode VII at Pinewood Studios with (clockwise from right) Harrison Ford, Daisy Ridley, Carrie Fisher, Peter Mayhew, Producer Bryan Burk, Lucasfilm President and Producer Kathleen Kennedy, Domhnall Gleeson, Anthony Daniels, Mark Hamill, Andy Serkis, Oscar Isaac, John Boyega, Adam Driver and Writer Lawrence Kasdan. Copyright and Photo Credit: David James. Anyone else nerdgasim all over their keyboard? Everyone. We’re all just too choked up to type. Lots of giggling and clapping. The cast reading pic is SO COOL until you realize there’s a hack director sitting the middle of it.